Much of the nation’s 65,000 metric tons of radioactive spent fuel now stored at reactor sites across the country could be brought to South Carolina for “interim” storage and reprocessing. The prospect of becoming the new Yucca Mountain spent-fuel dump surely will be rejected by many South Carolinians, but the federal government’s plans threaten to leave us holding the nuclear waste bag nonetheless. A blue ribbon commission, established by President Obama in January 2010 after the unraveling of plans for a geologic repository at Yucca Mountain, is charged with recommending the fate of spent fuel. Those recommendations, expected to beissued today, also will address the deadly high-level waste at the Department of Energy’s Savannah River Site [SRS] near Aiken. Draft subcommittee reports were issued in June, and a central recommendation, certain to be embraced by the full commission, is to “establish one or more consolidated interim storage facilities” for spent fuel. Given its uncertain future as federal funding decreases, SRS is now squarely in the nuclear crosshairs to become an “interim” site, with special interests poised to exploit this situation. The Savannah River Site and politicians allied with the state’s nuclear industry are actively soliciting the nuclear waste. Under the guise of bringing jobs to SC, the politicians and lobbyists will bring waste for storage. Since there is no long term storage site for spent nuclear waste, there will be nowhere to move the reprocessed waste. The waste will certainly stay in at SRS as an “interim” solution that will stretch out into the future. It costs nearly $1 billion per year to immobilize SRS waste in robust containers, and the job won’t be finished for two decades. Reprocessing of commercial spent fuel would produce waste of higher radioactivity and larger volume. We can ill afford to manage more such unstable radioactive material at the site. Store the spent nuclear waste on site in solid containers, not pools of water. Immobilize the plutonium in existing high-level waste at SRS with the goal of removing it to a geologic repository along with spent fuel. Storing on site will reduce the danger of moving the nuclear waste on railroads or highways. Immobilizing the plutonium in solid containers would render the existing waste at SRS reasonably safe until a permanent solution can be found. Moving the waste to SRS only increases the likelihood that the waste storage at SRS will become permanent. Unless the burden of nuclear waste disposal is shared through out the industry and the country, there will be no pressure to find a permanent solution to the problem of nuclear waste. Keeping the waste away from South Carolina will not be easy. The state’s congressional delegation and powerful nuclear interests are pushing to place the repository here. If you’re interested or concerned about the issue of high-level nuclear waste storage or disposal in South Carolina, take note of the move by SCE&G to store radioactive spent fuel in “dry casks” at the VC Summer plant. 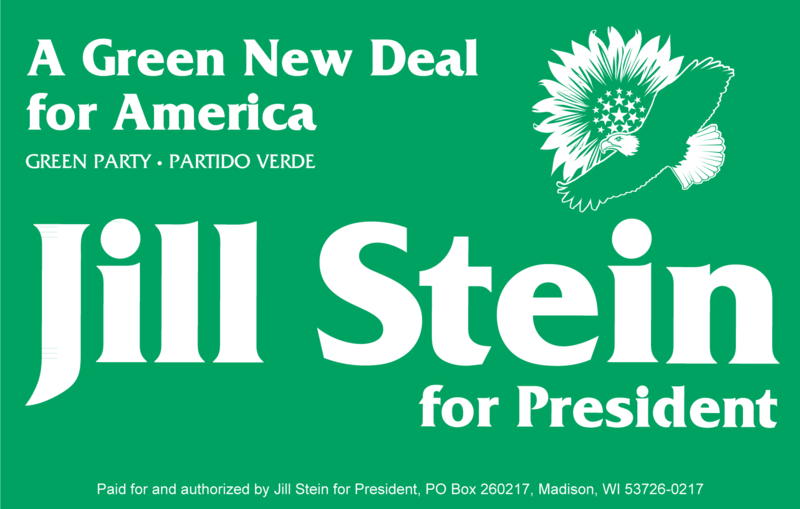 This may be the best option for deadly spent fuel but is not a viable long-term solution. See information below for a Nuclear Regulatory Commission meeting to be held on Wednesday about the dry cask facility – you can call in and make a comment at the end of the meeting. In looking at medium-term and long-term options for spent fuel, be aware that the federal Blue Ribbon Commission (on spent fuel and DOE high-level waste, see http://www.brc.gov/) is set to present its draft recommendations within two weeks and they will recommend for one of more “consolidated interim storage” sites for spent fuel. Special interests at the DOE’s Savannah River Site (SRS), which hope to receive money from the Nuclear Waste Fund for interim storage, are pushing for SRS to become one of those “interim” spent fuel storage sites. An official at Savannah River Nuclear Solutions (SRNS), the company which manages SRS, has clearly stated such interest and Jim Rogers, CEO of Duke Energy, has also affirmed this view under questioning at a recent SC Public Service Commission hearing. 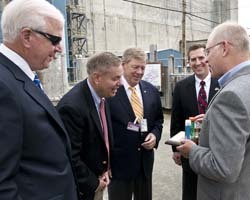 Saxby Chambliss, Lindsey Graham, Johnny Isakson and Jim DeMint joke with an official at the Savannah River Site, May 1, 2009. If the spent fuel were to be brought to SRS, the momentum for “reprocessing” of that material would greatly increase. Reprocessing separates the 1% of plutonium in the spent fuel for possible reuse as nuclear fuel and leaves behind a radioactive mess with a host of hard-to-manage nuclear waste streams. An SRS-SRNS plan entitled “Enterprise SRS,” which has not been released to the public but which we have posted at http://www.nonukesyall.org/pdfs/Enterprise_SRS%20future%20draft%205.2011.pdf, clearly shows interest in reprocessing as the site scrambles for reduced federal funding. (See diagram on page 7 of this document.) Reprocessing boosters are using a green washing term – recycling – in attempt to trick the public into thinking that reprocessing is clean, so don’t be fooled. If brought to SRS, spent fuel may well never leave, so consolidated storage and reprocessing threaten to make SRS the new Yucca Mountain and it will take public involvement and participation to help stop this from happening. The President’s blue ribbon commission today released the draft full commission report. A quick review of the document reveals that they recommend an interim site be developed as soon as possible. The BRC makes no recommendation as to where that site should be, but they do acknowledge the danger of an interim placement becoming permanent. …[T]he most important objection and one that will need to be thoughtfully addressed is the concern that any consolidated storage facility could become a de facto permanent disposal facility and—by reducing the pressure to find a long-term solution—thwart progress toward developing the deep geologic disposal capacity that will ultimately be needed. There will be hearings and greater discussion about this in the coming weeks and months. South Carolinians will need to educate themselves on this topic through the work of groups like the Friends of the Earth and the Sierra Club to head off this drive to turn the Savannah River Site into a dumping ground.